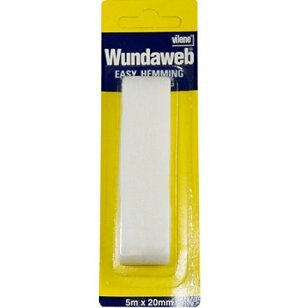 Iron-on bonding web in a narrow width, ideal for hems. Press on firmly step by step using a damp cloth. Machine washable at 60 degrees. Dry cleanable.